At The Cloudburst Group, we have the honor of working with some of the most respected and effective organizations in the world. We are inspired on a daily basis by the mission and impact of our clients and partners—and privileged to be part of the work through our subject matter and technical expertise. It is the primary mission of the Department of Housing and Urban Development (HUD) to create strong, sustainable, inclusive communities and quality affordable homes for all. At Cloudburst, we are proud to bolster the Department’s efforts in supporting sustainable housing and community development, and providing assistance to homeless and other vulnerable populations. It is the mission of the U.S. Department of Health & Human Services (HHS) to enhance and protect the health and well-being of all Americans by providing for effective health and human services and fostering advances in medicine, public health, and social services. At Cloudburst, we are proud to help provide and promote strategies and project implementation to achieve these goals. The United States Agency for International Development’s primary mission to date is to end extreme poverty and promote the development of resilient, democratic societies that are able to realize their potential. At Cloudburst, we are proud to serve as a global partner for international development in meeting this powerful objective. It is the mission of the U.S. General Services Administration (GSA) to deliver value and savings in real estate, acquisition, technology, and other mission-support services across government. The goal of the Millennium Challenge Corporation (MCC) is to work with partner countries worldwide to promote growth, help people lift themselves out of poverty, and invest in future generations. 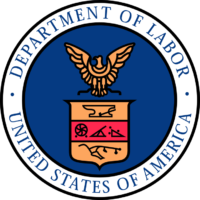 The U.S. Department of Labor fosters, promotes, and develops the welfare of the wage earners, job seekers, and retirees of the United States; improves working conditions; advances opportunities for profitable employment; and assures work-related benefits and rights. The Department for International Development (DFID) leads the UK’s work to end extreme poverty. The Department is tackling the global challenges of our time including poverty and disease, mass migration, insecurity and conflict. At The Cloudburst Group, we understand that innovative, effective, and sustainable solutions require collaboration. As one of HUD’s leading training and technical assistance providers, we have worked with local and state governments and nonprofit agencies across the country to develop and manage solutions to the same types of problems that you may be facing—and our experience can be your advantage. Through Cloudburst on Demand, our teams of experts can also provide technical assistance, training, and consulting services directly to nonprofit and government agencies.